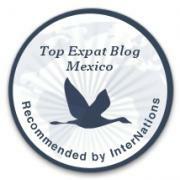 USA-Mexico Relations and Mazatlán | ¡VidaMaz! UPDATE: Consul General Karen Ogle of the U.S. Consulate in Hermosillo will be visiting Mazatlan and extends an invitation to meet her for coffee and to speak informally to members of the American citizen community. She will be at Rico’s Cafe. Ave. Marina #2216 Petroplazas from noon to 1pm on Thursday, March 16, 2017. It is a difficult time for many US Americans who reside in Mexico. Our newly elected President has not ingratiated himself with our southern neighbor, long-time adopted home for many of us. I found it encouraging this morning, then, to read a newsletter that we receive from the USA Consulate General in Hermosillo (serving Sonora and Sinaloa), which included news on a collaborative project to support binational citizens. We get the newsletter because Greg and I are wardens, meaning we have a responsibility to help communicate information that can aid US American citizens in Mazatlán. Often times that is an unsavory role, as we find ourselves not agreeing with many of the legally mandated “warnings” that come out of the State Department. Wardens are non-governmental volunteers of the American Citizen Services (ACS) Units of Mission Mexico. ACS offers routine and emergency services to U.S. citizens abroad. The U.S. Embassy in Mexico City, its nine Consulates General, and its nine consular agencies provide passport, Consular Report of Birth Abroad, and notarial services. American Citizen Services sections also handle visas, IRS, Social Security, and VA benefits; they assist U.S. victims of crime, visit U.S. prisoners, and help with missing U.S. persons and international parental child abductions. They provide assistance to families of deceased U.S. citizens and identify local resources for destitute and ill individuals as well as victims of domestic violence. Our local ACS email is hermoacs@state.gov, should you wish to contact them. Mazatlán’s USA consular agency can be reached at 01-81-8047-3145 or via email to conagencymazatlan@state.gov. After-hours number is Embassy 01-55-5080-2000. The office is located across the street from the Hotel Playa Mazatlán in the Golden Zone, and it’s open 9am-1pm Monday through Saturday, except US and Mexican holidays. I will share with you three pieces of today’s newsletter that I believe you may find helpful. Be sure to pass it on to those who might need it. Did you know that Mexican school registration requirements have changed? Children born in the United States are no longer required to present an apostilled birth certificate to enroll in school. Moreover, a CURP is no longer required for school registration. Ask USA Consular Staff if you need more information about school access. Below is a video in Spanish about how to obtain a passport for children born in the USA. The consular office in Hermosillo is planning a coffee and meeting with citizens here in Mazatlán in March. As soon as the date and details are finalized, we will let you know. Below is from the newsletter. Finally, I think it’s important that non-US citizens know that the visa process is fairly straightforward and they don’t need to hire “coyotes” or outside help to apply for a visa. The staff in the consular agency are bilingual. Below is a video the government has put together to dispel some myths. Thank you Diane for this post. I have a question. Will we still be able to purchase a home in Mazatlan this April? Nothing has changed regarding real estate purchases, Kathy. The answer is yes.